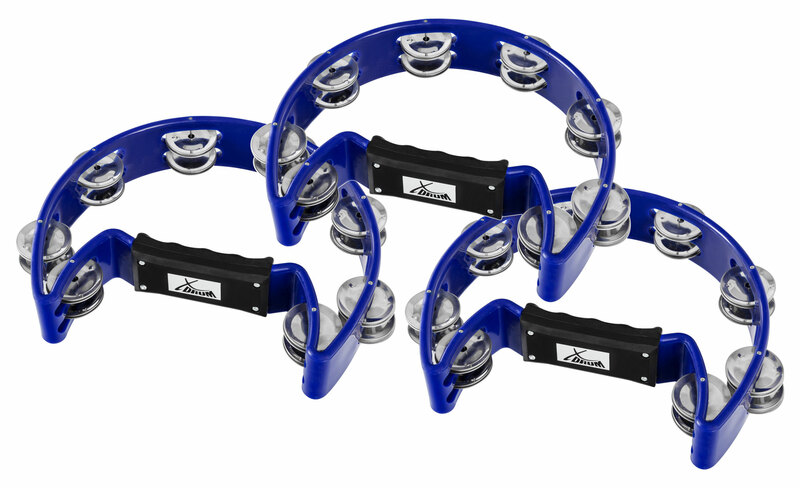 The XDrum Tambourine consists of a plastic frame in half moon design and is equipped with pairs of curved metal plates (rings). The tambourine can be beaten with fingers, palm, fist or flail. Depending on the proximity to the frame, the short hard blow can bring either the skin or the clamps into the forefront of the sound. In dance the tambourine is often also beaten at the hip or the leg. In addition a longer ring sound can be produced by shaking or by driving the thumb over the drum surface.